What does the claims operations team do? The team provides a dedicated service for brokers and farming clients who are making a claim on their motor policies. As a team of specialists our knowledge and understanding of a range of agricultural vehicles is essential in understanding a claim quickly. In farming time really is money when it comes to a customer’s machinery being out of action. What are your core responsibilities? I lead the team in delivering the best claims service that we can for our brokers and their customers. This ranges from ensuring that incoming calls are answered promptly to analysing what our data is telling us about the types of claims we are receiving. I’m also an escalation point in terms of any decisions or authorisation that might be needed for claims that are particularly large or complex. What are the key benefits of the team – what makes it different? 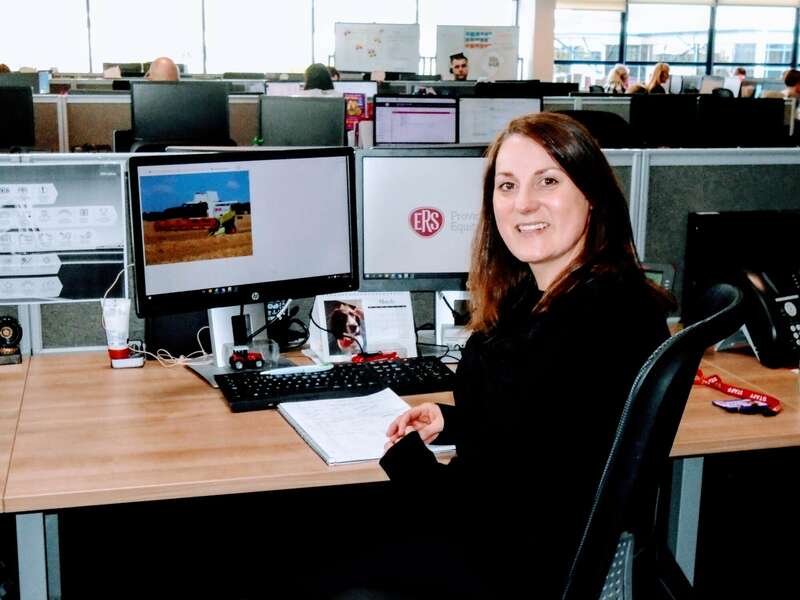 Our claims team each look after their own cases from end-to-end, which gives a real continuity of service to both brokers and customers – this is particularly important in agriculture where time is of the essence. Furthermore, we benefit from having our own engineering capability within ERS. Because agricultural motor claims can be more complex, our highly experienced motor engineers are a real asset. Having access to this expertise gives brokers and customers reassurance and assists my team in getting informed decisions made, repairs approved and customers back up and running. What do you think brokers value most from a claims perspective? Our brokers want a speedy claims service, but not as the expense of understanding how the sector works and its pressures. They want customer service levels that are a appositive extension of their own and that come into their own when things on the farm go wrong - particularly during the busy harvest period! My entire team has undertaken specific training so that we can quickly identify the right questions to ask and demonstrate to our brokers and their customers that their claim is in safe, expert hands. What’s the most rewarding element of the job? For me the most rewarding part is being able to help customers in a very tangible way. It is no understatement that for farming clients their vehicles and machinery really are their livelihood, so they depend on us hugely to manage their claim as quickly and efficiently as possible. We strive to provide a clear and seamless service to brokers and clients alike – which is often challenging to juggle but I am proud of what we have achieved in the last two years and what I know we will achieve in the future.